I came back from dinner one evening, knowing I needed a new baby card imminently. In one hour I managed to think of an idea and create it. Normally I spend ages trying to work out a design but that day I had it my head, plotted it out in Silhouette Studio and just got it made. I was originally going to buy a card as I’d never made a new baby card before and didn’t think I had anything stamp-wise that would work. However I then remembered this card that I made a few years ago. 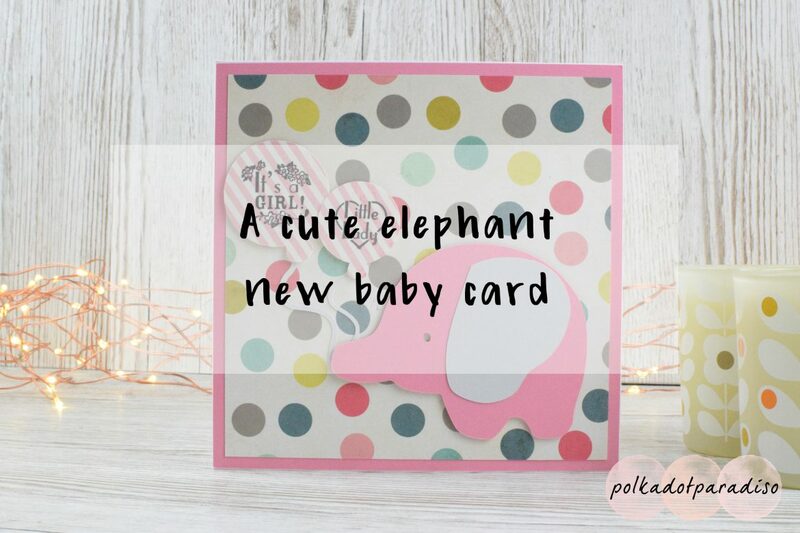 Realising I could use the cute elephant I could adapt the layout of the card. I sorted through my stamp stash and also found a baby girl sentiment set! I love the pink and the grey here. They work so well together. Originally I was going to go full pink with the balloon string and elephant and decided to soften it slightly with the grey. The elephant and balloons is from a Silhouette Studio design. I just duplicated the balloon and made the second one slightly smaller. The stamps are from a Tiny Tatty Teddy set. Although they’re not the best stamps I’ve used, I would use them again. I also found that I have the boy equivalent set so if I need a new boy card I should be able to do a male version of this card. As is usually the case with my cards, the paper used for the backing and balloons is My Minds Eye and the cardstock is from Papermania. This is a cute little card and I really like it. I can’t believe I was going to just buy one! This post contains affiliate links. They don’t cost anything to follow but do help support the blog!